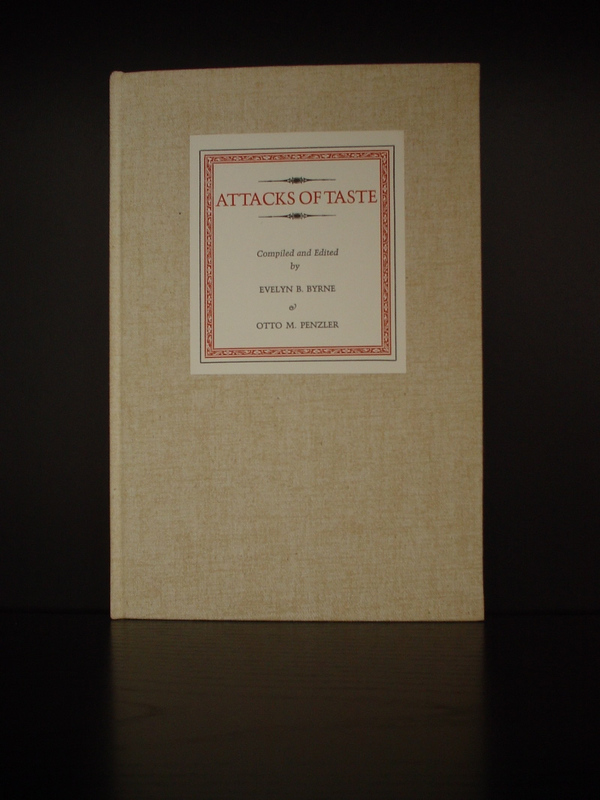 Tolkien has a passage in Attacks of Taste, compiled and edited by Evelyn B. Byrne and Otto M. Penzler, p. 43 (New York, Gotham Book Mart). He describes reading habits as a young man. Limited edition of 500 copies. Signed by the editors. Several unsigned copies have also been seen.